Niccolo Balducci in Editor's Picks UK Politics on 22 January, 2019. I grew up in a country where politics is a strictly formal affair largely overseen by middle-aged men continuously spouting thick, impenetrable jargon which puts most of my co-nationals to sleep. That being said, you can imagine my amusement upon seeing Theresa May defend her parliament seat against a self-proclaimed intergalactic space lord with a bucket on his head. What was even more surprising was finding out that our friend from the distant stars didn’t even perform all that bad in terms of votes all things considered. 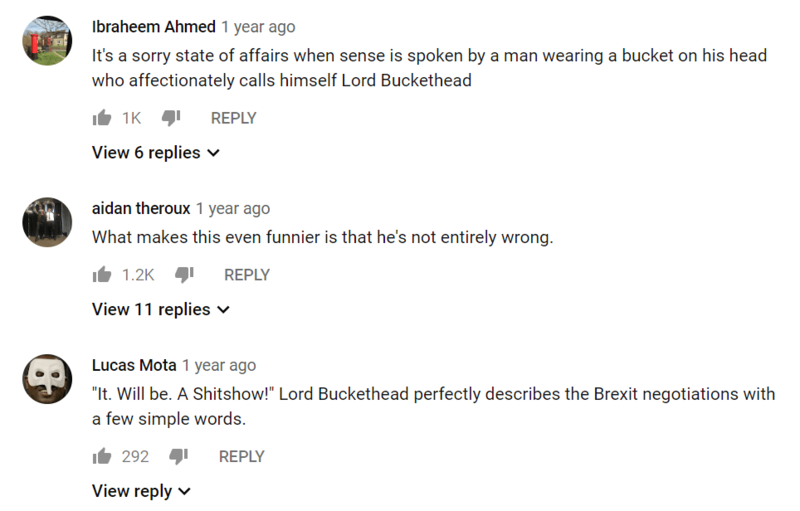 This made me realise however, that despite Lord Buckethead’s clearly satirical intents, his presence in British politics might actually be more impactful than one might initially believe. The character of Lord Buckethead was first realised by film writer and director Todd Durham in his 1984 sci-fi comedy Hyperspace. During the 1987 general election, Mike Lee, head of the independent home video label VIPCO, ran against Margaret Thatcher as the character to gain publicity for one of his company’s movies. Seeing the stunt’s success, he took part in the following election, this time squaring off against John Major. 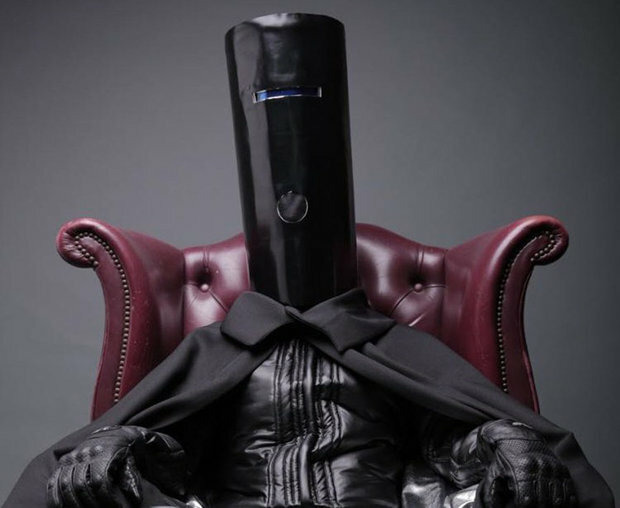 Following a 25-year long hiatus, Lord Buckethead re-surfaced in 2017 to challenge Theresa May in her constituency of Maidenhead, this time under the alias of Jonathan Harvey. In each of these instances, the Intergalactic conqueror campaigned for morally ambiguous policies, such as the destruction of Birmingham in order to make room for a spaceport. His latest incarnation however, arguably played a larger role than simply poking fun at the establishment. It’s a commonly accepted fact that the results of the 2017 general election was primarily a reflection of which party leader the British public felt could deliver the best Brexit deal possible. This was particularly the case in said leaders’ constituency, where their performance in terms of votes would have been the best indicator of the public’s trust in them. Whilst Theresa May won decisively, Lord Buckethead was still the 7th most voted candidate amongst several others. Since it’s very likely that no one who supported our Intergalactic friend actually expected him to win, it’s safe to say he was effectively an extravagant spoilt ballot. This is important, because it tells May that a not insignificant number of voters upon which her premiership depends would rather throw away their vote than trust her with Brexit. But what sets Lord Buckethead apart from a doodled-on ballot? Simple: an idea and a platform. In terms of the former, the man has frequently criticised both May and the idea of Brexit. Indeed, he drew attention to the UK’s disadvantage at the negotiating table as well as championing a “United we stand, divided we fall” philosophy. This is obviously expressed in an overtly goofy fashion, but the core of his message is one that’s being echoed by major politicians like Vince Cable. Because of this, it wouldn’t be too outrageous to point out that Lord Buckethead is yet another voice in the anti-Brexit bucket. Indeed, some of the top comments on his YouTube videos seem to take his hyperbolic monologues with relative seriousness. This leads me to discuss the second point, ergo the versatility of his platform. As I mentioned before, Lord Buckethead has a YouTube channel, where he posted very short, snappy clips from the speeches he gave during the Maidenhead election. This ensured his message would reach a primarily young and technologically savvy audience who wouldn’t otherwise have the patience to sit through half-hour long monologues given by conventional politicians. Moreover, by being an official candidate, Lord Buckethead was also listened to publicly by the Maidenhead electorate who wouldn’t necessarily browse the internet in search of political comedians. Thus, because of his ability to reach such diverse audiences, he maximised the chance of his satirical message changing more hearts and minds than those 249 votes might let on. Ultimately then, despite Lord Buckethead’s obvious status as a joke candidate with practically no chance to win whatever sit he’s running for, his influence shouldn’t be discounted. Whilst the man doesn’t attract much electorate support, every vote he obtains is one vote the leading candidate can’t use to put some distance between him/her and the runner up. Moreover, despite Buckethead’s opinions being coated in a thick veil of irony, his fundamentally anti-Brexit message only adds to the incrementing Remainer voice in the country. Finally, and perhaps most importantly, the space lord’s versatile platform enables him to reach out to very diverse demographics, thus increasing the spread of his ideas. In the end however, whatever one may think of Lord Buckethead’s influence in British politics (or arguably lack thereof), the enjoyment behind his satire can hardly be dismissed.